The story is about a boy who winds the clocks in a large train station, and becomes pulled into a mystery involving family secrets, fascinating machines, and unusual but can't-look-away silent films. The remarkable thing about this book is how visually interesting and unusual it is. While the book is very thick, many of the pages are beautiful, detailed drawings that advance the plot, so it is quicker to read than it might initially appear. This was not one of the more compelling books I've read, but it does appeal to very specific kinds of readers--particularly those who love designing and building. Martin Scorsese's film version of this book does a fantastic job capturing the masterfully detailed illustrations in this book. 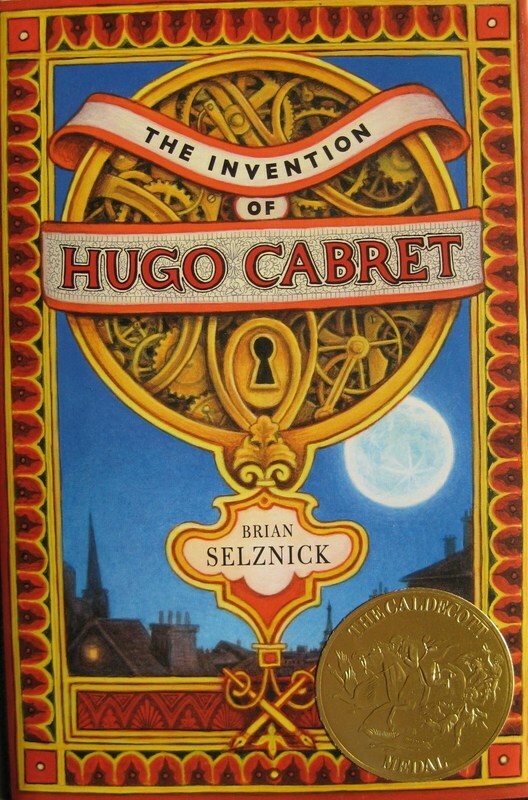 "Invention of Hugo Cabret quote"